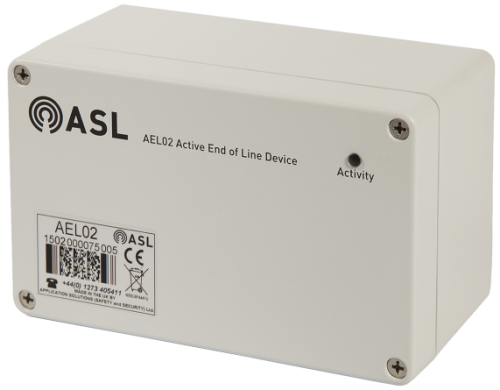 The AEL02 Active End of Line Device enables ASL amplifier systems to monitor either single or dual loudspeaker circuits without the need for DC blocking capacitors in the loudspeakers. This makes it ideal for retrofitting into existing installations where it is not possible to modify the installed loudspeakers. 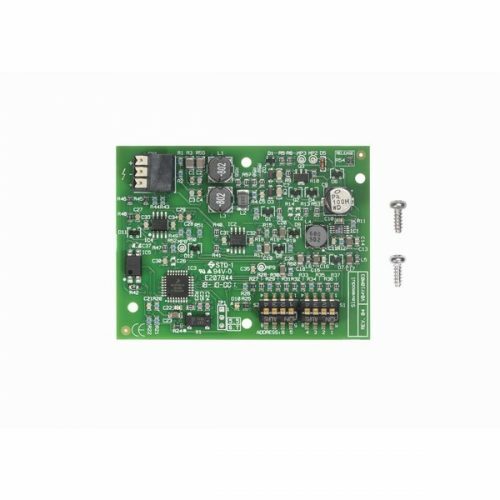 The loudspeaker monitoring using the AEL02 is fully compliant with BSEN 5839 Pt 8. 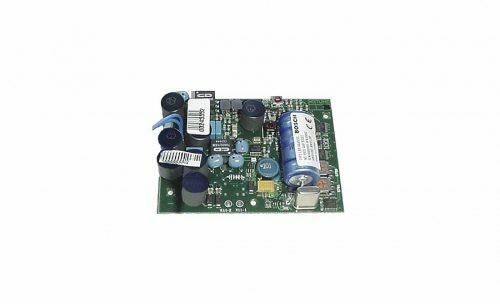 The AEL02 operates by utilising 30 Hz and 20 kHz surveillance tones that are output by the iPAM400 Intelligent Public Address Amplifier Mainframe, or by LSDDC or LSIDC amplifier interfaces in other types of ASL amplifier systems*,**. The AEL02 derives power from the 20 kHz surveillance tone, and monitors the line integrity by detecting the 30 Hz surveillance tone. On detection of the 30 Hz surveillance tone, the unit introduces a periodic signal current which the standard circuit within the ASL amplifier systems unit can detect. If the 30 Hz tone is lost due to open or short circuit, then this periodic signal disappears and a line fault is reported. 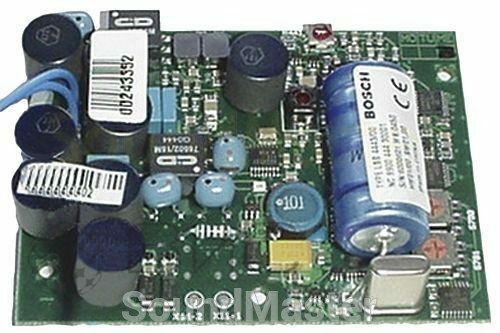 The earth monitoring circuit within the ASL amplifier system can still detect ‘real’ earth faults. 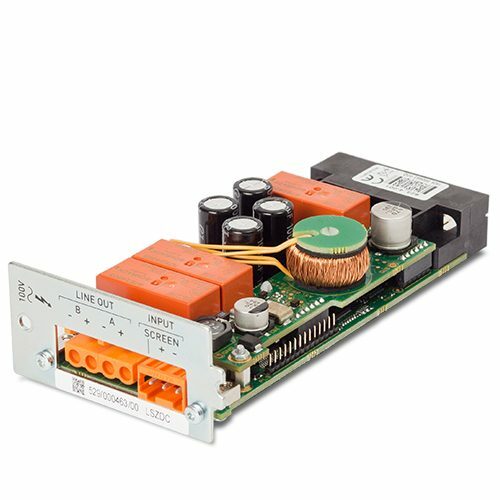 The LSZDC is an amplifier interface card for use with the D500 and D150 Transformerless Class-D Amplifiers. It enables two circuits (A&B) to be fed from a single amplifier.The interface card provides:Amplifier health monitoring via subsonic surveillance tone.Standby switchover.Loudspeaker line earth leakage monitoring.Loudspeaker line ‘End Of Line’ (EOL) monitoring.Relays in series with each output facilitate isolation of faulty speaker circuits. 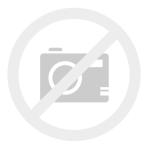 Loudspeaker circuits can be monitored using DC, Impedance or Loop Return methods. Each LSZDC includes powerful on-board DSP (digital signal processing) capability, enabling parametric equalisation, gate and gain settings to be applied separately to each amplifier. 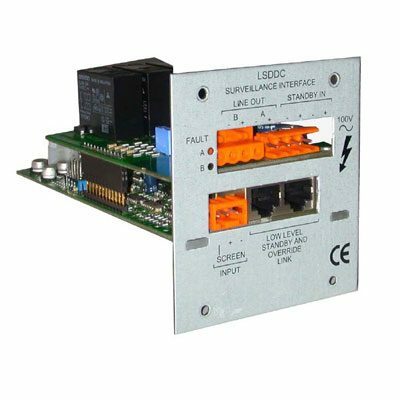 The LSDDC is an amplifier interface card for use with the M100, M200 and M400 Class-D Amplifiers in a V400 Amplifier Mainframe for Voice Alarm and Public Address applications. 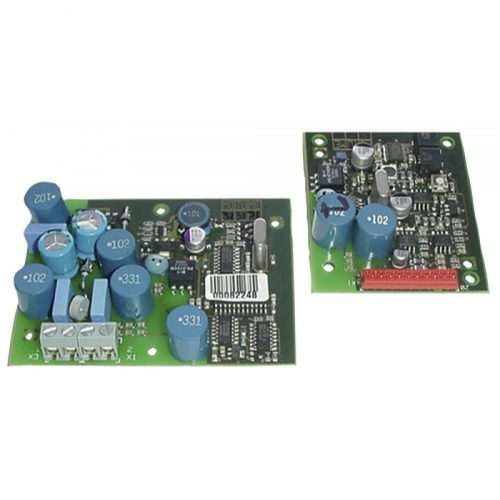 Uniquely, it enables two circuits (A&B) to be fed from a single amplifier while still maintaining BS5839 Pt 8 compliance.This interface card provides; amplifier health monitoring via subsonic surveillance tone, automatic control of changeover to standby amplifier, loudspeaker line earth leakage monitoring, and loudspeaker line ‘End Of Line’ (EOL) monitoring. Relays in series with each output facilitate isolation of faulty speaker circuits.The unit also supports a secondary audio input that enables emergency sources to be switched directly to the input of the power amplifiers.A second mode of operation allows loop return monitoring to be implemented or a single loudspeaker circuit can be fed instead of two, if required. The End Of Line (EOL) Slave Module monitors the integrity of a loudspeaker line. In combination with an EOL master, integrated in every Controller and Router of the PAVIRO system, the loudspeaker line can be monitored against short-circuit or open-circuit. 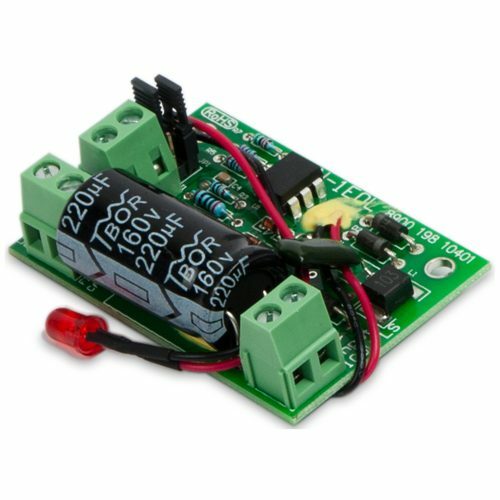 The status LED of the module can help to check the installation.